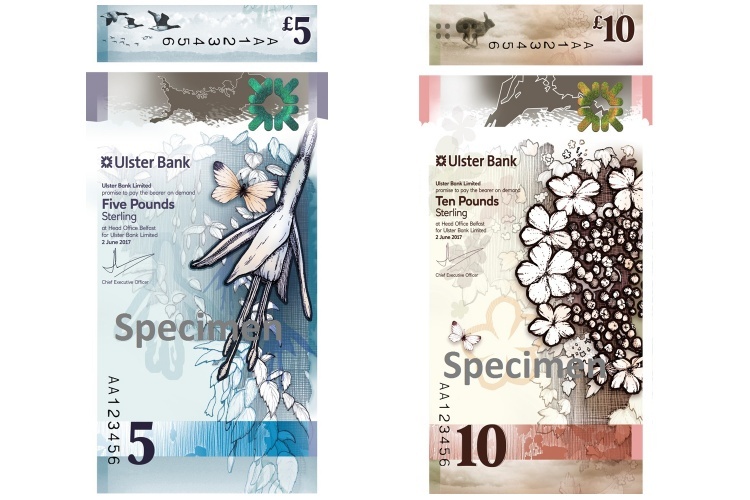 Polymer £5 and £10 notes issued by the Bank of Ulster will enter circulation in 2019 – we speak to Nile, the design studio behind the new notes, about celebrating migration, indigenous species and Northern Irish culture. 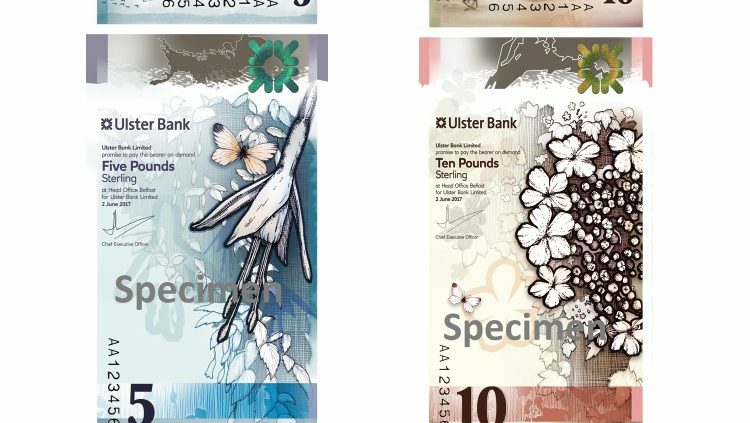 The notes have been designed by Edinburgh-based service design consultancy Nile, in collaboration with several Northern Irish illustrators and photographers, and feature plants, animals and themes that relate to the country. Type foundry Fontsmith worked on the typography, while Glasgow-based design studio O Street also worked on the graphics. Jeni Lennox, associate principal at Nile, says that the designs aim to be “honest, realistic and celebratory” of Northern Ireland’s characteristics and quirks, and wanted to avoid clichés associated with the country. Nile redesigned the Scottish notes in 2016 and 2017, and avoided “castles and tartan” for the same reason, she says. The £5 note is themed around migration of animals and people, and features native creatures and plants on the front, including the Brent goose and the fuschia flower. Hedges also feature, which aim to represent the idea of “porous dividers”, and symbolise divisions between different communities breaking down, says Lennox. 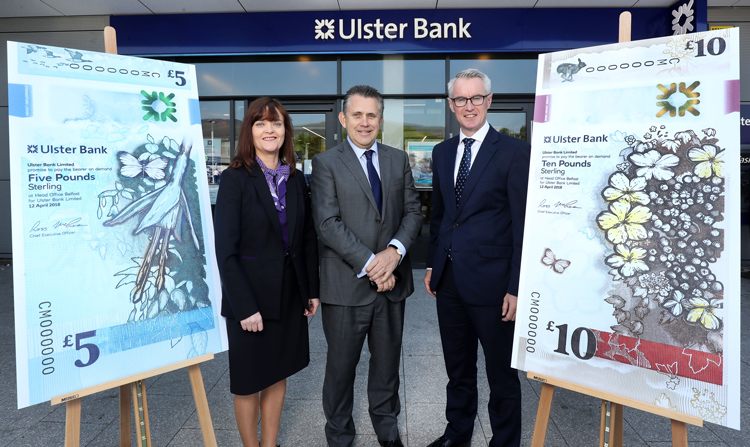 While these notes are produced by the Bank of Ulster, they will be available to use anywhere in the UK – and part of the project was also about stressing how much the country provides for the UK overall. The new £5 and £10 notes will enter circulation in early 2019, and will be legal tender across the UK from then.